Myths are everywhere, not just in divorce and legal matters. An example of a myth is the Great Wall of China being the only human-made structure visible from outer space. In regards to divorce and money, two of the more commonly believed myths include the myth of not being responsible for your spouse’s credit card debt and the myth of women never paying spousal support. In regards to the spousal credit card myth, if the cards are in both of your names, you are both responsible for the debt, and in regards to women never paying spousal support, courts often order women who make more money than their husbands to pay alimony. 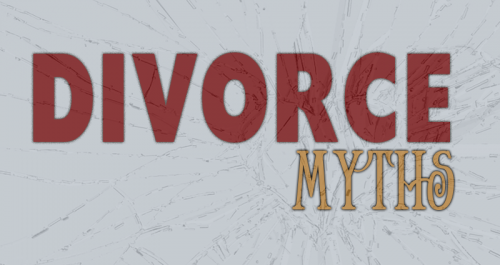 The following myths need to be disregarded when entering into the divorce process. If your spouse doesn’t know about all of your assets, you won’t have to share them during the divorce. Not only is it unethical to hide assets, but it is against the law. You will be facing harsh court sanctions when hiding assets. Another popular divorce myth is if your spouse does not pay child support, he or she does not have to be allowed visitation with your children. A parent’s right to visitation is independent to child support payments. If a parent fails to pay mandated child support, there are enforcement steps that the custodial parent can take. Parents being denied visitation can discuss their options with a family law attorney and petition the court to issue a contempt order. The best approach is to discuss your priorities with a trusted family law attorney. Allow Dreyer Law to protect your family and your interests each step of the legal divorce process.